I write in response to the article “Anand’s conflict of interest” in the Sunday Express of April 7, 2019 by Denyse Renne. The opening paragraph is completely false and mischievous. I have never been the subject of any criticism by a High Court judge for representing two clients in my private capacity regarding the suite of legislation that was designed to protect the rights of children which was passed by the People’s Partnership government. The bold factual statement that “On September 30, 2015 he came under fire from Justice Frank Seepersad who questioned why he was bringing a matter before the court when it was his government’s failure to set up community residences” is a complete fabrication and ridiculous untruth. Had your reporter been interested in the truth, she would have stated that in the very press release from which she selectively quoted, I immediately rejected this as bogus and false because it simply never happened. “ The article purports to quote AG Faris Al Rawi’s comments from his contribution to the budget debate…I am however compelled to respond to what has been reported, as it is inaccurate and misleading and could bring the Office of the AG and the Court itself into disrepute. At no time did the Learned Judge make any such comment. Had he done so, I would have immediately objected and made a complaint because it would be highly improper for him to do so. As AG, Al Rawi must be aware that it is highly unethical and improper for him to comment on any case against the State whilst it is pending before the Courts. That would be, as the titular head of the Bar, and a party to the case, extremely prejudicial and highly improper. Al Rawi himself admitted this when he public refused to comment on Jack Warner’s extradition matter on the basis that it would be improper for him to do so whilst the matter was before the Courts. So no, I did not “come under fire” from any judge in this case as alleged for any conflict of interest. This is the second inaccurate report that has had to be corrected by Ms Renne. On February 12 she published a story in which she boldly stated that I had called on certain judges to resign at a press conference held at the Hyatt hotel to discuss the Privy Council judgments in my client Devant Maharaj’s favour regarding the composition of the JLSC. I was not even present at that event and made no such statement. Thankfully, the Express published an apology and accepted that this was false. I appear to be a target of Ms Renne who wastes little time in keeping the AG’s line of attack alive in the media. The media wields great power and hence there is a need for greater responsibility as it can easily be used to facilitate personal and political vendettas. With respect to the recently concluded matter against Petrotrin in the Privy Council I note that this is the second article that has been published on the same subject rehashing what was stated in an almost identical article the previous week. 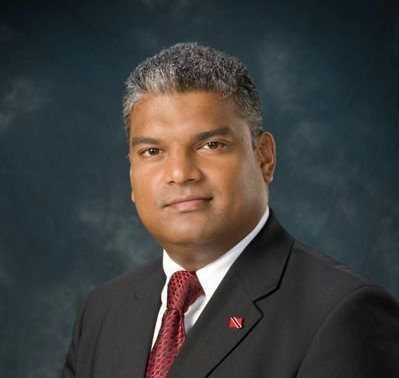 The issue in this case is whether a citizen – Mr Ravi Balgobin Maharaj – is entitled to copies of the witness statements which AG Faris Al Rawi claimed formed the basis of the advice he was given to discontinue the case against Malcolm Jones. It is a pity that the exchanges between the Privy Council and Counsel for Petrotrin have not managed to attract the attention of your reporter. They are instructive and would probably explain why the AG is so anxious to distract attention from this case by raising the red herring of my involvement. That no one in the media has bothered to report on the actual hearing of the matter and the piercing questions posed to Petrotrin’s lawyer about the government’s role in abandoning a billion-dollar lawsuit that could have kept Petrotrin alive today is ironic and curious but telling. The hearing is still available on line https://www.jcpc.uk/cases/jcpc-2018-0047.html and Petrotrin’s case starts at 2:03 hours into the morning session. Out of respect for the judicial process, I will reserve further comment on this matter until the judgment is delivered by the Privy Council.